Dragon Boat MVP will start off the 2017 new year with a Mini Dragon Boat Giveaway! 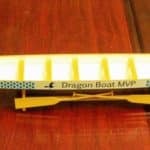 The Mini Dragon Boat prize is produced by MiniDragonBoat.com, the only place on the web where you can buy your very own miniature dragon boat customized to your choice of color and layout. 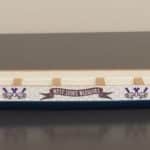 These scale model dragon boats were designed to replicate a standard Hong Kong style boat. 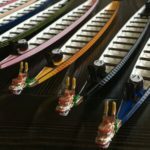 Each boat is hand painted to bring out the brilliance that is a colorful dragon boat. The detail of the dragon head and tail are superb. The Mini Dragon Boats are made from a safe non-toxic plastic, which are well balanced and float just like the real thing. They are 20 inches in length from head to tail. The dragon head and tail are removable, just like the real thing. 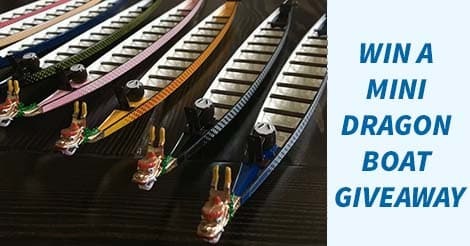 These Mini Dragon Boats are a great gift for any dragon boat paddler, coaches, trainers and also make great thank you appreciation token for your special supporter. 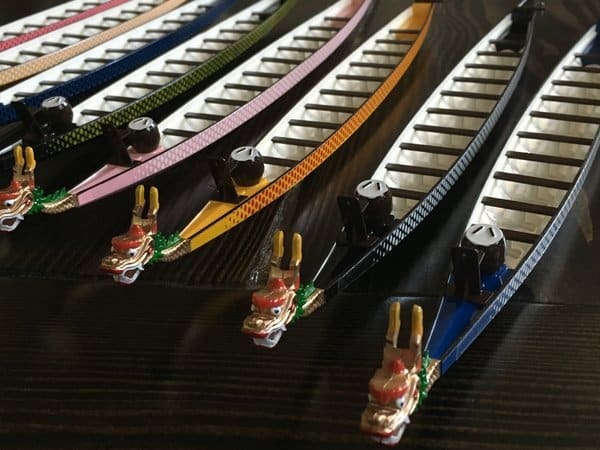 They look great in a trophy case, sitting on the mantle in the living room, or on the shelf in your office, where you can use it to help explain what dragon boating is to your co-workers, family or friends! 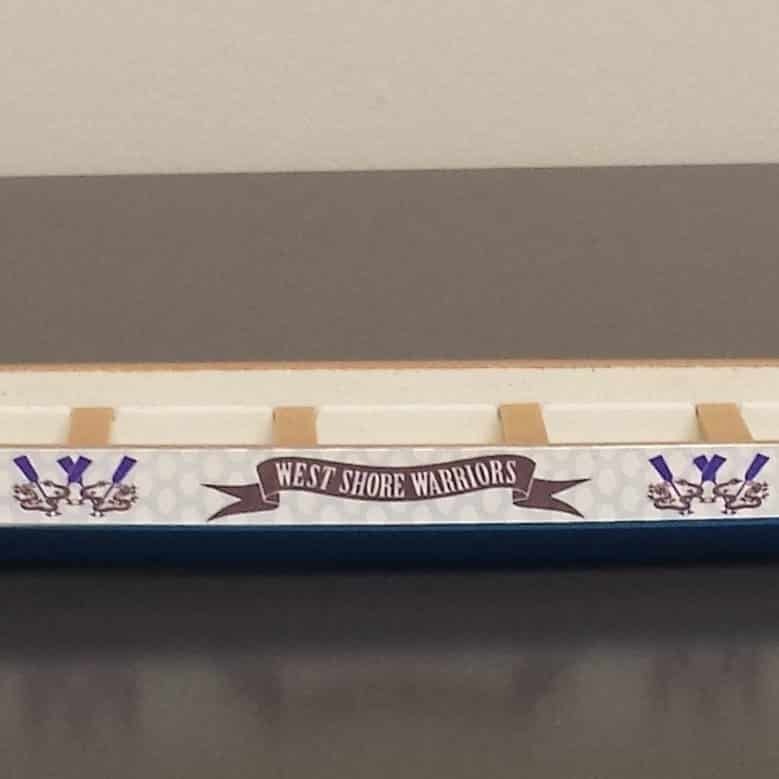 Customized with your team name and colors, these boats also make a great gift for sponsors. This giveaway ends on January 28, 2017 5:00 AM EST. Winners will be announced January 29, 2017 5:00 AM EST. To enter this dragon boat giveaway, go to the Mini Dragon Boat Giveaway entry page here. Click the mini dragon boat picture above to win a mini dragon boat!